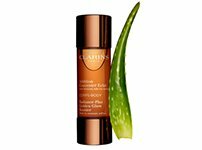 The Clarins Lotus Face Treatment Oil is naturally astringent for combination or oily skin. It utilises the principles of aromatherapy and phytotherapy by combining plant extracts and essential oils to help balance the skin. 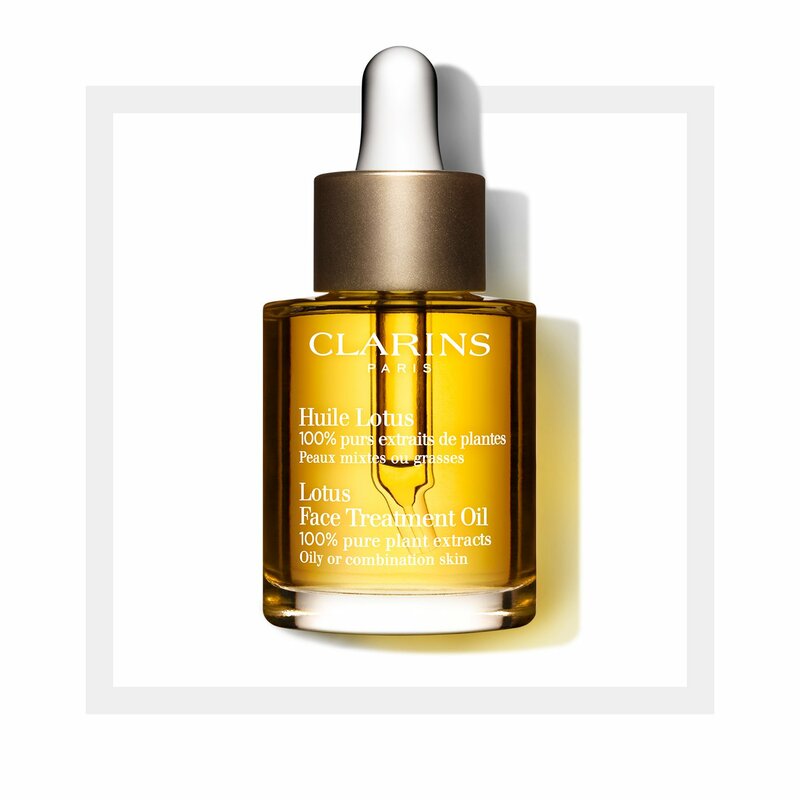 Made from 100% pure plant extracts, this face oil is Clarins’ exclusive blend of Rosemary, Geranium and Lotus extracts, which purify the skin, tighten pores and refine skin texture. Hazelnut Oil softens, soothes and seals in moisture to prevent fine lines and moisture loss. 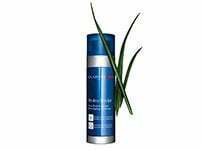 This rebalancing moisturiser for oily skin nourishes and refines skin, leaving it satin soft. Suitable for oily or combination skin. Rated 5 out of 5 by Miru from A miracle in the fight against oily skin I don't give reviews lightly, and I am exceptionally critical of any products I use, but Clarin's Lotus Oil is, inarguably, the best and most effective product I have ever used for controlling oil and shine all day long. I have oily combination skin that is almost constantly visibly and uncomfortably oily. If I'm out it will often require powder touch-ups to soak up excess oil, and if I'm in I'll splash my face with water upwards of 5 times a day to wash off the excess. However, applying a drop of this oil treatment every day (I use it after cleansing with the foaming tamarind cleanser, and either apply before my moisturiser or mix it with my moisturiser and apply both together) will keep my oil production under control. All day long. Best yet, a little goes a long way; I've only recently finished my tiny 2ml tester after a month. Having noticed my skin reverting back to an oily mess now that I've stopped using this, I'm here to buy it for myself! If anyone's sceptical, I definitely suggest trying the tester. If your skin is anything like mine, you won't be disappointed. Rated 5 out of 5 by Joseybelle from Miracle oil I recently purchased this to use before my Clarins night cream. I spent quite a while reading the reviews, both on this website and externally, and decided to add this to my bedtime beauty routine. I am so glad I did; it smells glorious and has worked a treat. My complexion looks brighter, is softer and less oily during the day. I love using this as (per the instructional video) I warm the oil in my hands before application and inhale the vapours; the smell is so comforting and makes me feel so relaxed. The perfect end to busy days. Rated 5 out of 5 by Amy26 from Couldn't be without it! I have been using this oil for a month now and decided to buy this along with a couple of other Clarins products as my skin was out of control. The thought of putting oil on oil didn't seem logical at first but after reading so many reviews I decided to go for it and I am so glad that I did. My skin was so oily and spot prone and I had such large pores which was really starting to get me down. This product has changed all of that! My skin still is slightly oily but nowhere near as bad as it was to begin with and I no longer have to blot my face throughout the day. My pores have reduced dramatically and I haven't had any spots since I have used this along with the Double Serum. The only gripe that I have is the smell which I do not find that pleasant but it works so I am not about to stop using it just because of that. This truly is a wonder product and a little really does go a long way so it is going to last for a very long time. Rated 5 out of 5 by Emcl89 from Please never discontinue! I had clear skin until my 20s which sadly changed around 22! I have tried so many treatments, peels and spent a crazy amount constantly trying new products. 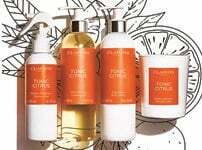 I love the Clarins tonic body oil and when purchasing I browsed the facial oils and purchased this one. I have never been so happy with a purchase, my skin is so much clearer than before, spots are now extremely rare. I feel so grateful to have clear skin again and think this product is a major contributor. Thank you clarins! Rated 5 out of 5 by amberland from Life changing product! I had been searching for a moisturiser to tame my combination skin with not much luck. I decide to up my budget and invest in a more premium brand and visited Clarins in Selfridges on a girls day out. The lady I spoke to was amazing! She gave me such great advice and a sample of this oil which lasted me over a week and it transformed my skin! I have never loved a facial product so much! I bought a bottle over a month ago and a little goes such a long way. The initial investment might seem alot but this product lasts and more important it works! I am converted!! It balanced out my skin, I am a lot less oily and my fine lines around my eyes on on my forehead are visable smaller. Amazing product! Rated 5 out of 5 by Shuie19 from Lotus Facial Oil - game changer! 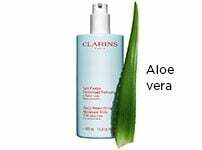 I was recommended this product by a friend and then again at a consultation with a Clarins beauty therapist, who gave me a sample to try. I was eager to try it and did so straight away that night. Firstly, it smells amazing! I actually think now that it helps me sleep better too and calms me (BONUS!). Well the next morning i noticed a difference right away, my skin was so soft, looked healthier and make up applied effortlessly. I was amazed but didn't want to get my hopes up too much so didn't write a review straight away. I've now been using it just over a week (still on my sample) and my skin has changed so much! I have no new spots!! Before I would wake up to at least one or two new spots everyday and now...none! It's also calmed and reduced any previous blemishes and scarring, my skin is so soft, make up applies easily and looks great all day as I think this has helped control my oil too, I definitely don't blot as much throughout the day. My pores seem smaller also, can all this really be just from this little bottle of miracle?! Yes I believe so, it's the only thing I have changed in my skincare routine. Needless to say I have now ordered the full size bottle and will be a staple product for me. The full size should last a while too since a 2ml sample has lasted me over a week, so it's a great investment. So happy, I actually don't mind looking in the mirror now!